An increasing number of users migrates from Windows to Linux, especially in the civil service. This situation imposes some challenges on software suppliers: How do you migrate software solutions for your own customers fast, securely and reliably? 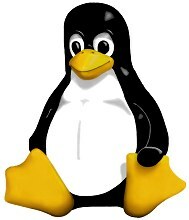 Does it pay off to build up own Linux know-how for this purpose? And if you decide to migrate your products to Linux on your own: Can you do it fast enough? And most important: Faster than your competitors? For whom is w3logistics a suitable partner? You want to migrate single existing customer applications? w3logistics offers you qualified support for individual projects, as well with the migration of individual software, as with standard software products. You want to offer all your solutions for Linux too, and be faster than your competitors? w3logistics offers short-term support for the quick migration of your solutions, and long-term consulting to support build up of your own know-how.